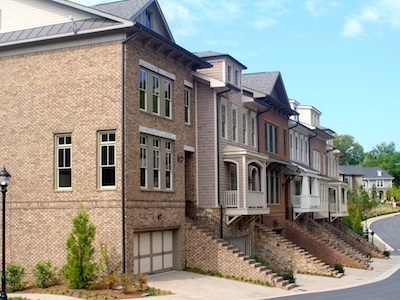 Gateway Park is an exclusive enclave of single-family homes built by Monte Hewett Homes. 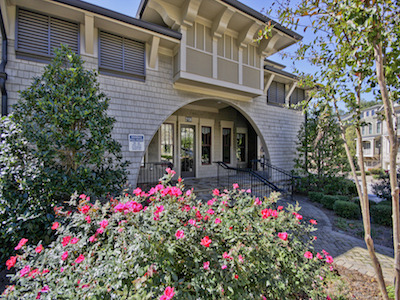 Craftsman architecture and generous landscaping allowances create a traditional atmosphere. The well-appointed homes include up to 3,300 square feet of living space and 3 to 4 bedrooms. Homes in Gateway Park include first floor living or study areas; family rooms; dining rooms; and gourmet kitchens with stainless steel appliances, granite counter tops, high-end cabinetry & spacious breakfast areas. 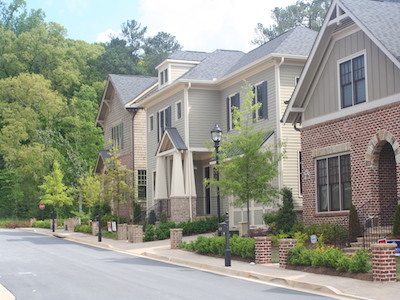 Brookfield Park at West Village is a small enclave of architecturally distinctive homes built by Ashton Woods Homes. Homes include optional walk-up attics and bonus rooms, spacious master suites, and up to 3,100 square feet of living space. Gourmet kitchens include granite counter tops, high-end cabinets and Whirlpool appliances. Residents of Brookfield Park enjoy a pool, outdoor fireplace and clubhouse with fitness center. 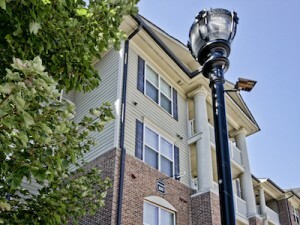 Town Park is a collection of 2 and 3-story town homes built with energy-efficient construction by Monte Hewett Homes. Professional landscaping and a variety of customized features creates a charming street scape. Homes in Town Park feature 3 to 4 bedrooms and up to 2,663 square feet of living space. All home include 2 car garages and gourmet kitchens with stainless steel appliances, granite counter tops, and high-end cabinetry. From Atlanta, take I-75 north to I-285 west. Exit at South Atlanta Road (exit 16). Go north on Atlanta Road and West Village will be immediately on the left. Limited on street parking is available with additional parking available in decks conveniently located behind the retail outlets. ©2014 An independently operated subsidiary of HomeServices of America, Inc., a Berkshire Hathaway affiliate, and a franchisee of BHH Affiliates, LLC. Berkshire Hathaway HomeServices and the Berkshire Hathaway HomeServices symbol are registered service marks of HomeServices of America, Inc.® If your property is currently listed with a real estate broker, please disregard this notice. It is not our intention to solicit the offerings of other real estate brokers. We cooperate with them fully. Equal Housing Opportunity.